Work is now complete!! The two steeplejacks started their restoration on Monday, June 25th in glorious sunny weather. 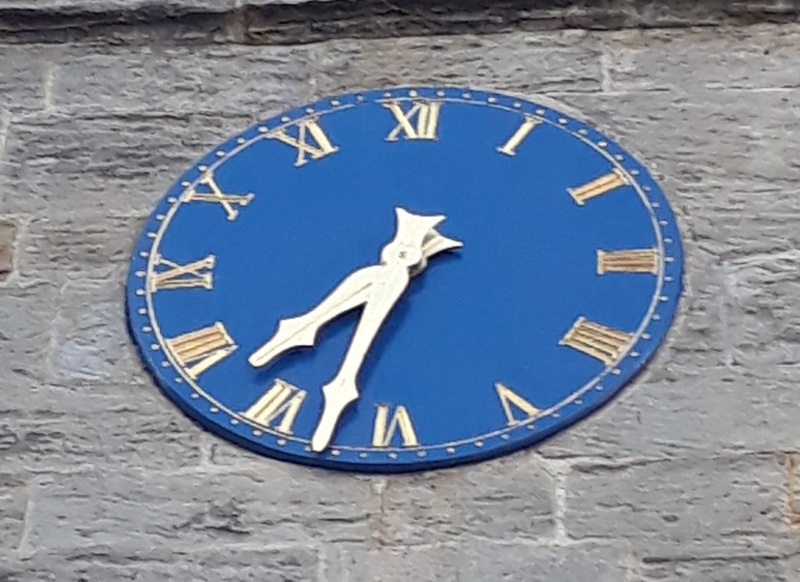 The three stone faces have been repainted and the numerals picked out in gold leaf, the hands have been cleaned and re-gilded……they look magnificent. 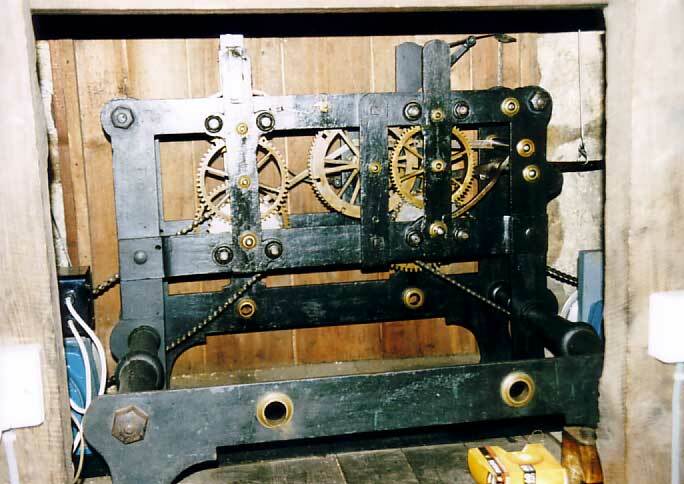 The clock mechanism has been dismantled, refurbished and re-assembled and the clock has now been restarted. 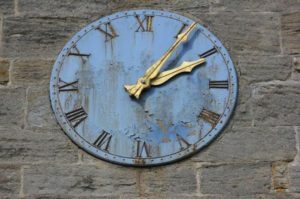 We are now back with community timekeeping and watching carefully to apply th e fine tuning to regulate the accuracy. 2018 marks the 800th anniversary of the death of our patron saint – St Robert of Knaresborough – who died on 24th September, 1218. 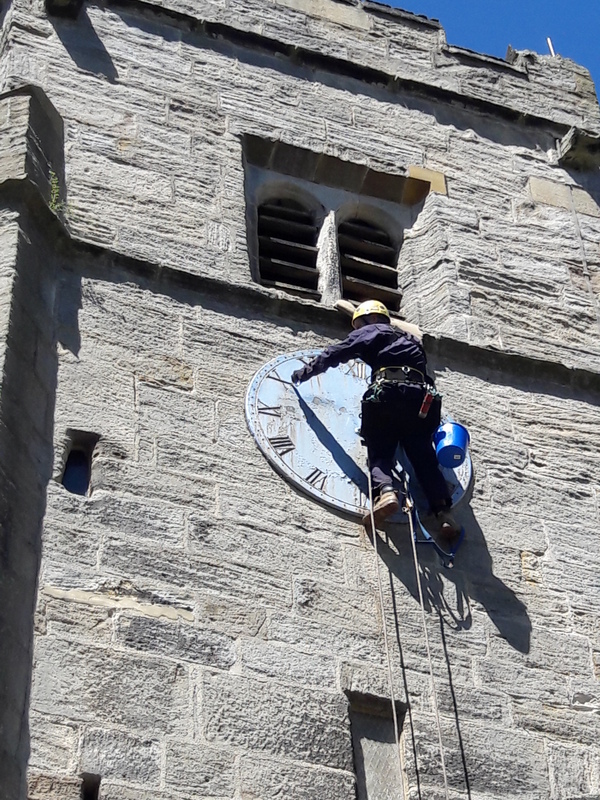 We aimed to mark this milestone date by renovating the church clock – and particularly its dilapidated faces, which are used by the entire community and not just church-goers. To this end an appeal was launched and you can read more about it by clicking on the clock appeal leaflet here. The whole community has risen most generously to the challenge, and, as a result, we have more than reached our target and have been able to include an overhaul of the clock mechanism in the work which has just been completed. 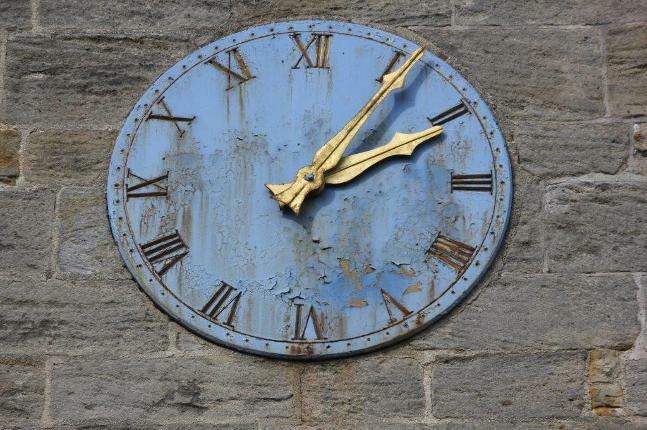 Now that the work is finished, we have the most beautiful clock faces in North Yorkshire! Bishop Helen-Ann will conduct a formal Dedication Ceremony during the Beer Festival Fun Day on Saturday, October 6th, and more details of this will be available in due course.